A friend and fellow birder was passing through town and we took a long hungover walk down the river, along the beach and finally up to the cape. It was very windy and there were some spectacular waves. A few birds around as well. The Northern Shoveler above was probably the same one I'd seen earlier in the week. 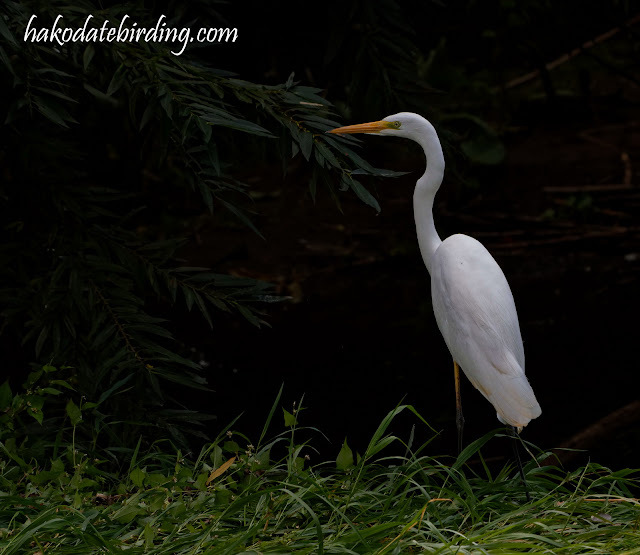 There were 3 species of heron on the river including this Great Egret. Other stuff included a few flycatchers (probably Asian Brown but we couldn't get a clear look) and a lone Common Kingfisher. 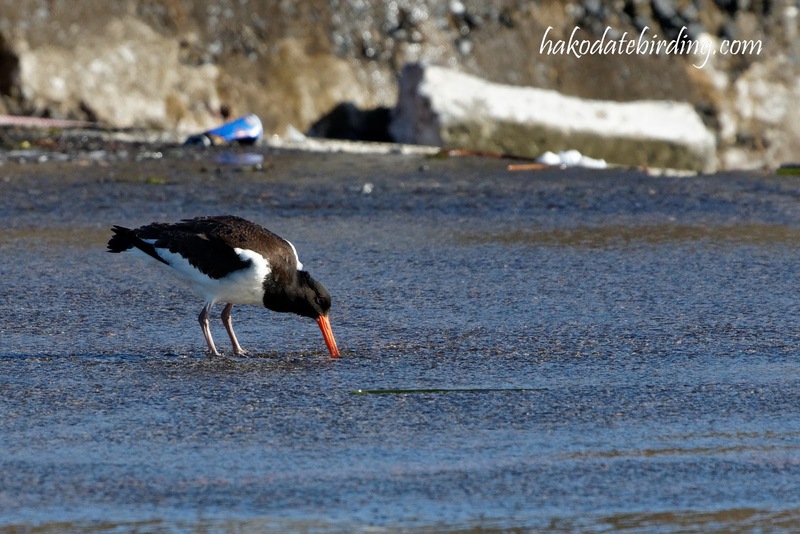 A very skittish Eurasian Oystercatcher: a fairly scarce bird in south Hokkaido and only the 3rd one I'd seen in town. They're great birds.... I recall seeing the NZ ones standing around on traffic islands. Wow! I've only seen oyster catchers in Australia. Didn't realise they would be up here. Oh I thought they were getting commoner, did I read that somewhere? 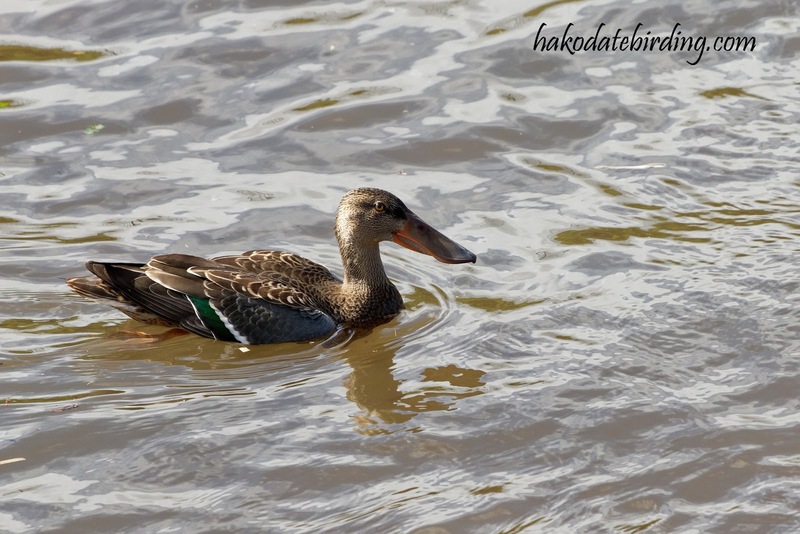 I have seen small groups of them in east Hokkaido. Definitely way way less numerous than in the UK though.